Whitetail Lake Clubhouse Renovation - McAlvain Companies, Inc.
McAlvain Construction, Inc., provided CM/GC services for the interior demolition and renovation of an existing 13,000sf log house. 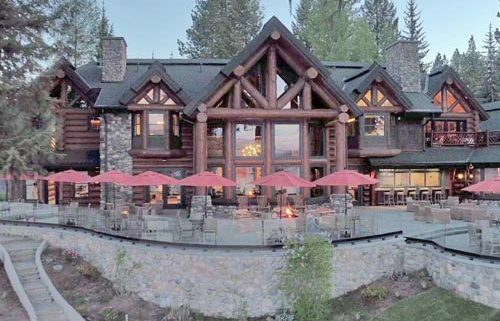 The existing log house was converted into a clubhouse with full commercial kitchen and full bar along with indoor and outdoor dining. Additional amenities include meeting rooms, teen center, kids area, administrative offices, laundry facility and support spaces. An existing racquetball court was converted into an Activities Building including an addition for shop space as well as locker rooms and lake activities’ storage. Site work included terraced spas with ADA access, custom lighting for the landscaping, security gates, and extensive patio pavers and stairway pavers. The bar includes a folding Renlita window with a full lake view from the bar to the heated paver pathways and patio. The large patio looks over Payette Lake and includes a custom glass railing that doesn’t obstruct the view and leads to a private sandy beach and Boardwalk along the lake.